Happy New Year! 2014 is a year of big changes at QAF. QAF offices have moved – from our East Van basement headquarters to a bright top floor loft in Gordon Neighbourhood House at Broughton and Comox. As we relocate from one Vancouver gaybourhood to the other, we are happy to have found offices that are more accessible in every way – easy to find, more public, and much easier to move around in for people who are either mobility challenged or tall. A big thanks to Paul M. Taylor and the whole team at GNH for inviting us into their space, and to QAF all-star volunteers Kathy, Jayden, Marnie and Laurie and all our staff for making the relocation a smooth and painless process. If you’re in the neighbourhood, swing by and say hello, or come spend a little longer and volunteer. We have big changes on our staffing front too. I’d like to welcome Theo Jakob, joining the QAF team as our new Managing Director, a position created thanks to a Capacity Building Grant from the BC Arts Council. Many of you may know Theo from his work with the Vancouver Queer Film Festival and the All Bodies Swim. Our Director of Operations, Rachel Iwaasa, will be taking the helm as Acting Artistic Director, while I take a one-year sabbatical for 2014. It’s been an intense 7 years developing from the all-volunteer Pride in Art exhibition into the 3-week transdisciplinary festival QAF has become. An awful lot has happened along the way, and it’s time for me to step back to take time for some quiet contemplation and professional development – working on my MFA, touring my show BUTCH: not like the other girls, and developing it into a book. I will also be delving into two other projects on grief around my beautiful wife Catherine and her death: Still Life, portraits of absence, and Pazapa: pilgrimage variations, a transdisciplinary piece about the journey of grieving through my walk across Canada. Ok, so maybe not so much time for quiet contemplation. Rest assured, I’ll miss the festival too much to disappear. My commitment to the work remains as strong as ever, and I’ll still be available to the team as consultant and volunteer – in the meantime, our programming is all set for2014, and I know I’m leaving the festival in very capable hands. Warmest thanks to the whole Queer Arts Family for all your support of the festival over the years. It’s been a rewarding and challenging learning cliff, and I look forward to returning in a year. Theo Jakob joins the Pride in Art in January 2014 in the position as Managing Director, created with the generous assistance of a BC Arts Council Capacity Building grant. 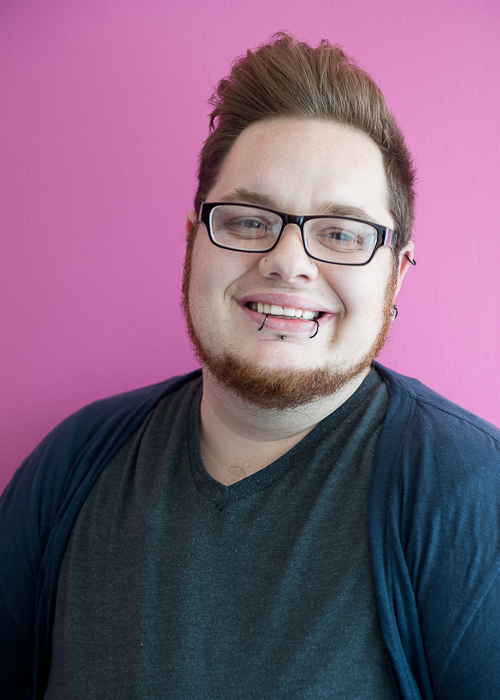 Theo comes to us with nine years experience in program management and administration of multi-stakeholder programs, especially focused on community empowerment and engagement with queer and trans communities, and seven years experience in volunteer coordination and human resource management. Theo has worked since 2010 as Festival Program Coordinator at the Vancouver Queer Film Festival, where he assisted with coordinating Festival production, including 2011’s Celebrate Queer Vancouver activities, and spearheaded their accessibility initiatives. Theo’s particular expertise is as a consultant and community programmer whose work often centres around policy, organizational development, sustainability, anti-oppression and accessibility. We are excited to welcome this brilliant young arts administrator to our team, as part of our commitment to nurturing and cultivating queer arts talent in Vancouver.